Mr Brown says he "always had doubts" about 24 hour drinking. 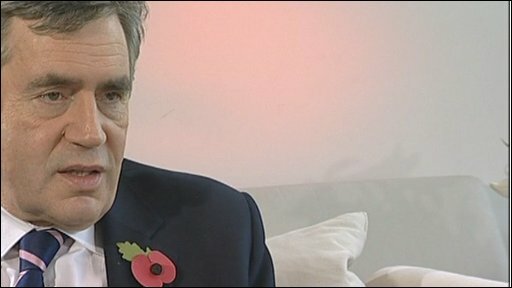 Gordon Brown says he was never happy with the way licensing rules were relaxed to allow 24 hour drinking. He plans new powers for local councils to curb opening hours in towns and cities where it had created problems. The Prime Minister praised Yorkshire's Street Angels who have just launched their tenth project in the region. He was speaking after meeting Street Angel volunteers who help drunken people on the streets at weekends. York has become the tenth urban area in Yorkshire and Lincolnshire where the Christian-based Street Angels volunteer groups help people they find drunk on the streets get home safely. Equipped with high visibility jackets and personal radios the Street Angels mount patrols on Friday and Saturday nights. With the blessing of local police the volunteers avoid any possible violent confrontation but claim simply being there has also helped reduce street crime. On a visit to Yorkshire Gordon Brown said he had met members of the Street Angels and they were doing a valuable job. In an interview for the BBC's Politics Show the Prime Minister insisted longer opening hours had not caused problems everywhere. In some areas he said the problem of drunken rowdiness on the streets has been reduced by cutting the numbers leaving clubs and bars at the same time. Mr Brown was speaking on the day that new research shows hospital admissions caused by "alcohol related harm" are rising fast. The respected research group the North West Health Observatory forecast annual admissions rising to a million within two years unless action to curb binge drinking is taken. See the full report this Sunday, 25th October on the Politics Show Yorkshire, Lincolnshire and the North Midlands at 12 noon on BBC1.